Note: Any electric device around a pool needs to be run on a GFI circuit. 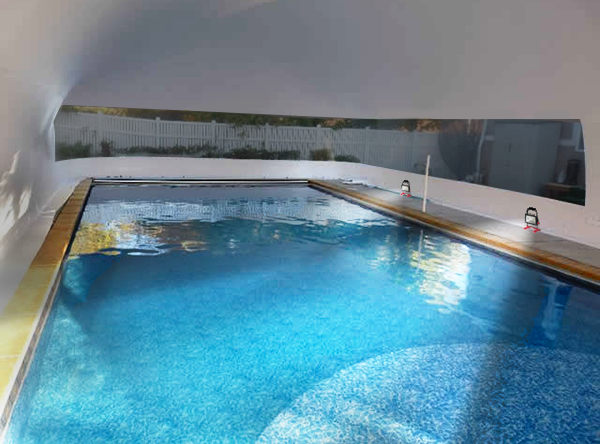 If your pool has underwater lights, there may be no need for additional lighting. The light (shining from under the water) is magnified and spreads out well within a dome. Should you need additional lighting we recommend an auxiliary light source as shown below. This is an inexpensive way to provide additional light. This type of lighting can be sourced online, through a local home improvement center, or hardware store. Be sure to secure the light(s) to the dome air-flap which is located on the interior of the dome on the pool deck. Use plastic wire ties or "Zip" ties to securely attach the light(s). This keeps them in place and helps prevent accidents. An important feature of this particular type of light is that the lens is made of a clear plastic that will NOT shatter if water is splashed on it. This keeps possible glass shards off the pool deck and out of the pool. Additional benefits include the low energy requirements as the LED lights use a lesser amount of energy. This allows you to daisy-chain the lights on fewer power cords. 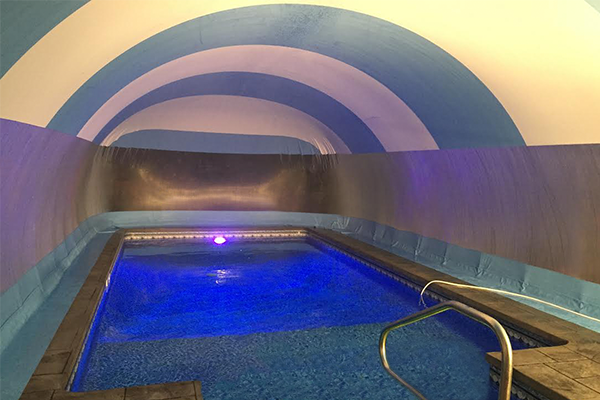 There is also less heat generated with LED lights which is safer for your dome and the swimmers.